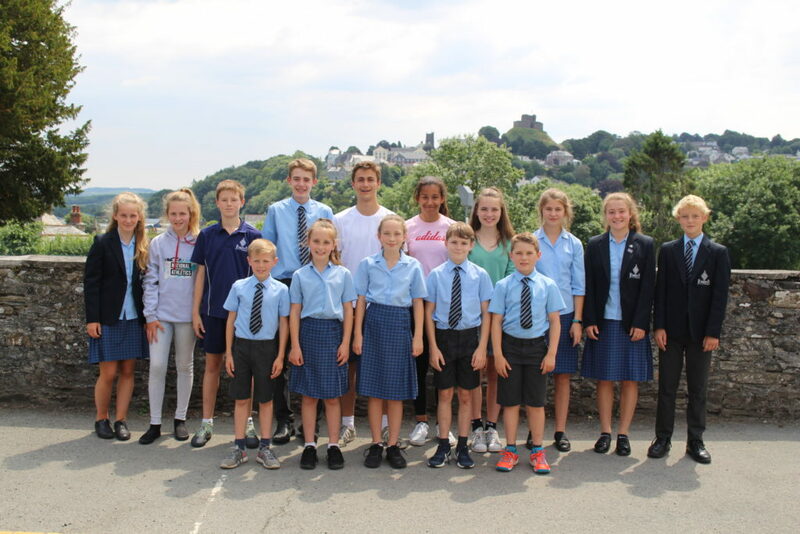 After a successful performance at Exeter Arena for the South West ISA Athletics, St. Joseph’s had an impressive 15 students qualifying to represent the SW team at the national event at the Alexander Stadium in Birmingham. 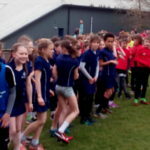 Our pupils competed in a range of track and field events and joined up with pupils from other schools to form relay teams. 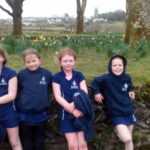 The conditions were perfect in comparison to previous years of either heavy rain or hot sunshine; all of our pupils performed fantastically in their events and should be very proud of their achievements. A special well done to three pupils who won medals in their events, they were presented their medals by two British Olympic Athletes Jo Mersh and Martyn Bernard. Ella Henry-Brock won Bronze in the Year 8/9 girls Javelin and threw a distance of 24.99m. Ella’s biggest success of the day was her high jump in which she became a National Champion, with a winning jump of 1.55m. Lucas Drayton won silver in the Year 8/9 long jump where he jumped 5.61m, the winner had jumped 2cm more than Lucas to steal first place; a very close competition! Harrison Shaw, our youngest member for the team, competed in the Year 4 boys group. Harrison was a key member for the relay team who performed strongly together finishing in second place and taking home the silver medal. Well done to all of those pupils who competed and thank you for the support from parents. We are very proud of not only their performances, but also their determination and fantastic attitudes they displayed whilst representing St. Joseph’s School. 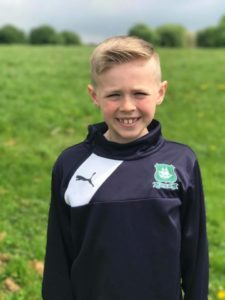 Congratulations to Year 3 pupil Harrison Shaw who has now officially signed for Plymouth Argyle Football Academy. 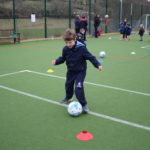 Harrison was spotted by PAFC at the after School and holiday clubs that Argyle Community Trust run here at St Joseph’s and was invited to attend the Holsworthy LPTD. His coach said ‘Harrison is always a pleasure to coach’. 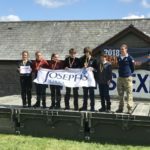 St Joseph’s School Ten Tors team were once again outstanding in their efforts as they completed their 35 mile course faster than any other team assigned the same route. 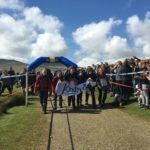 Their blistering pace saw them arrive home at 9:50 am, placing them in the top ten out of over 350 teams competing over the 35 mile distance. The team was made up of Year 10 pupils Joe Allen and Max Darwall, as well as Year 9 students Olivia Collings, Darcey Courtney-Bridgey, Arlen Morell-Davies and Chloe Smith. They showed a real competitive edge throughout, and a sense of teamwork that had shone through in training. They walked the first 8 Tors before camping on the Saturday evening, ensuring a good night’s sleep before setting off again at the permitted 6am start time. 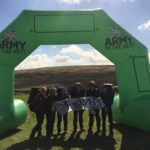 Despite their exhaustion, Chloe and Olivia, and a very proud Mrs Smith, had time to stop for an interview with the ITV West Country news crew on hand, and it was apparent to all ITV viewers just how much the girls – and the whole team – had gained from this unique experience. The 4th Race for the Duchy Cross-Country series took place on Friday 23rd March with the last event for this season due to take place on Friday 27th April. Again St Joseph’s School took a very strong team with over 30 pupils from Years 3 to 6 taking part. 8 pupils finished in the top 10 of their respective race a great achievement. Well done to all of our competitors. 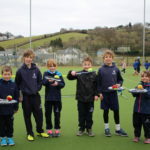 The AstroTurf facility at St Joseph’s School, Launceston came alive on Thursday 22nd March as the school played host to a wonderful selection of happy children from Otterham Primary, South Petherwin Primary & St Stephen’s Primary to participate in the inaugural St Joseph’s School Multi-Skills Festival. A whole host of activities were arranged to test the pupils’ skills of target practice, balance, hand-eye coordination and much, much more. Children from Years 1 & 2 joined together with the main aim being to have fun! Pupils from Year 6 took the lead to demonstrate to the younger children and all really rose to the challenge – staff were really impressed with their maturity and ability to take a leading role. The teams rotated between different activity stations and the Year 6 students encouraged them to try out the different sporting activities. 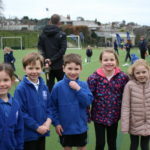 It was a superb morning and our thanks go to Mr Cardoo for organising a fantastic event – we can’t wait to host next year’s multi-skills, where we hope even more local schools are able to take part.